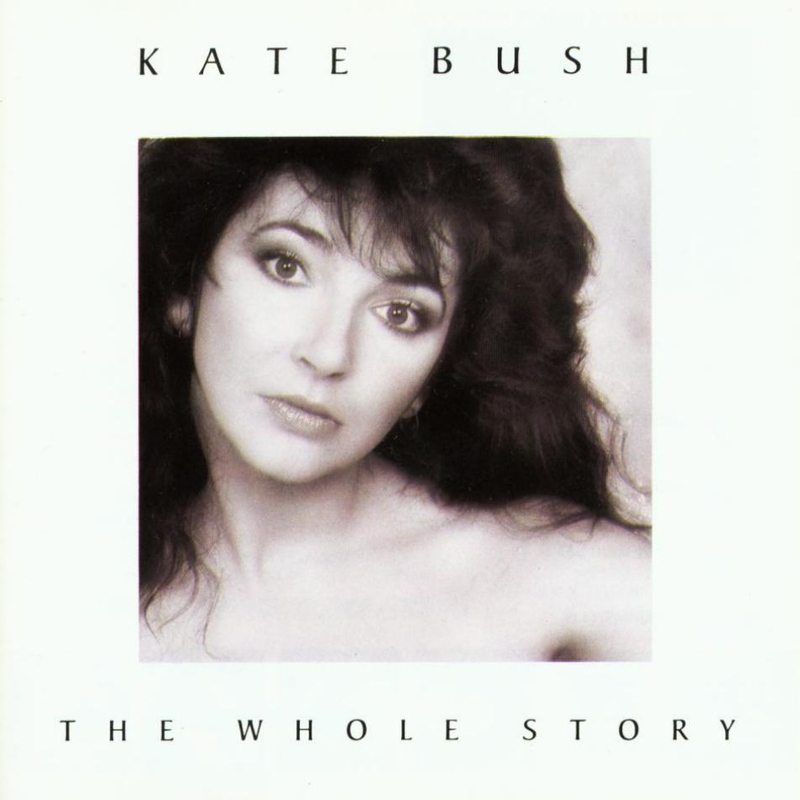 Compilation album by Kate Bush, released by EMI Records on 10 November 1986. The album included 10 hit singles, plus a "new vocal" version of debut hit Wuthering Heights and one new track, Experiment IV. The album was released on LP, CD, tape and - in 1998 - on Minidisc. The LP came in a gatefold sleeve. A 180 gram vinyl edition was released by Simply Vinyl on 30 October 2000. In 2005, a so-called 'mini LP replica' version was released on CD in Japan. There was also a video version of 'The Whole Story', released on VHS video and Laserdisc, containing the videos for all the tracks, plus one bonus video: The Big Sky. A Video CD version was released a few years later, entitled The Whole Story '94. Roger Holland in Sounds (UK): "Over the last nine years and five albums, Kate Bush (...) has matured into quite the most sensual, expressive, and creative artist this country can now boast". Colin Irwin, Melody Maker (UK): "This glorious retrospective collection... she's playing a high-risk game, and more often than not her irrepressible flair, her instinct for a hook, and her gift for unusual and gripping arrangements carry her through." John McReady, NME (UK): "More useful and more enjoyable than the constipated jangling of a hundred and one little lads with big mouths and even bigger clothes allowances. Such people are not worth a carrot. Meat or no meat, Kate Bush is streets ahead." Andy Strickland, Record Mirror (UK): "A monumental tribute to this craziest, coziest girl-next-door. (...) One of the most refreshing compilation LPs it would be possible to put together."